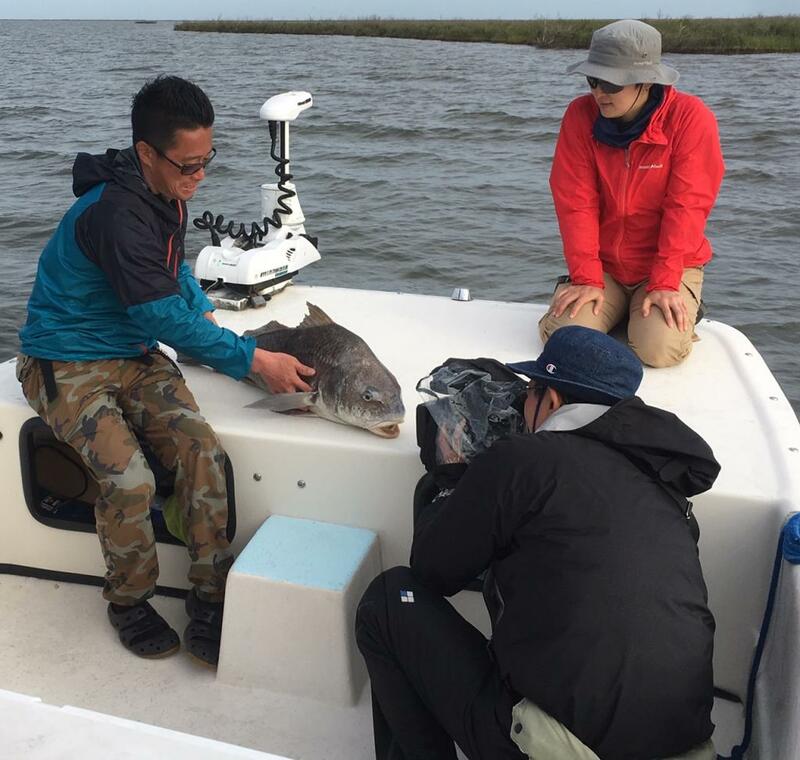 I had Japanese TV on board with celebrity Noritaka Takeishi this month filming a new documentary on Redfish down in Cocodrie. 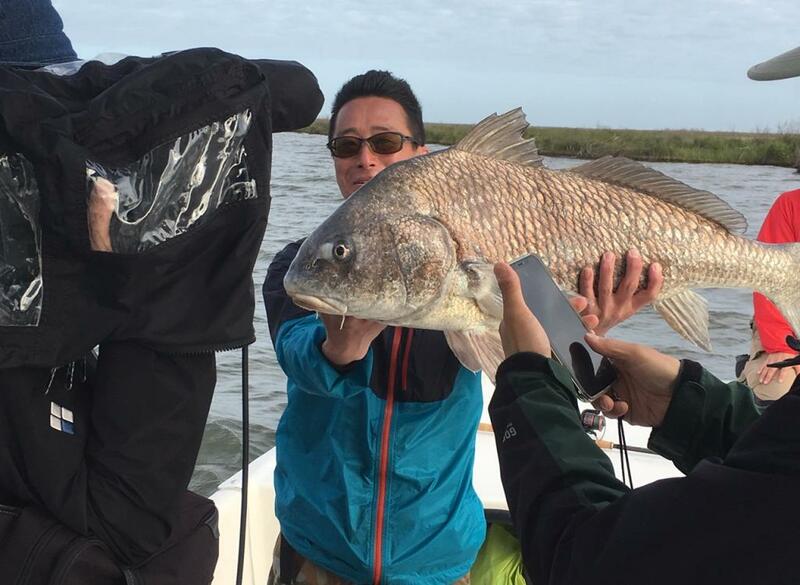 We caught and released 9 bull Redfish and several bull black drum along the beaches of last island. What a beautiful day it was for fishing as the weather has just been gorgeous. 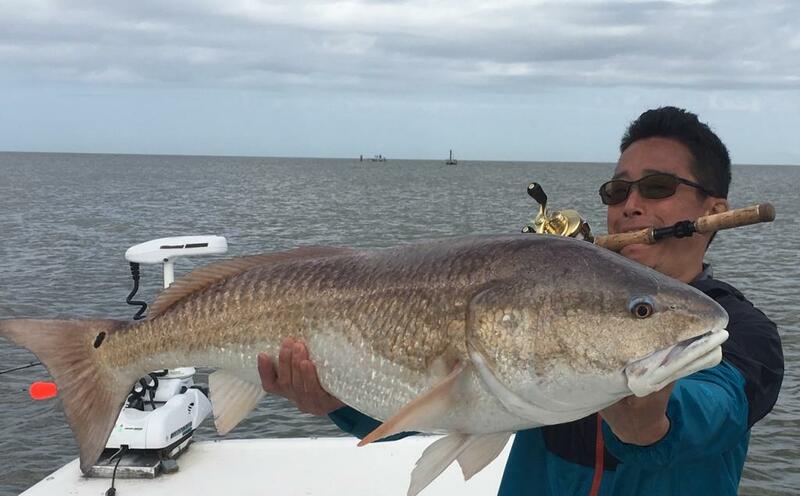 The Bull Redfish were caught on cracked crab or market shrimp under popping corks or tight lined. 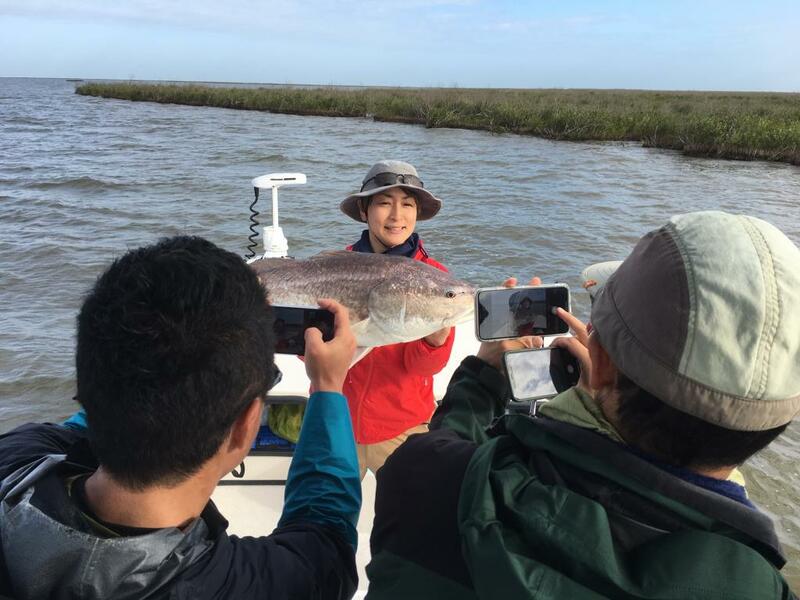 We also caught a few Bull redfish using queen sized plastic minnows on 1/4 oz swim jigs Noritaka Takeisha had brought here from Japan. I learned quite a bit about Japanese culture working with these guys for instance they make really tasty seafood snacks in Japan. The shrimp crackers and wasabi kelp chips rock!!! 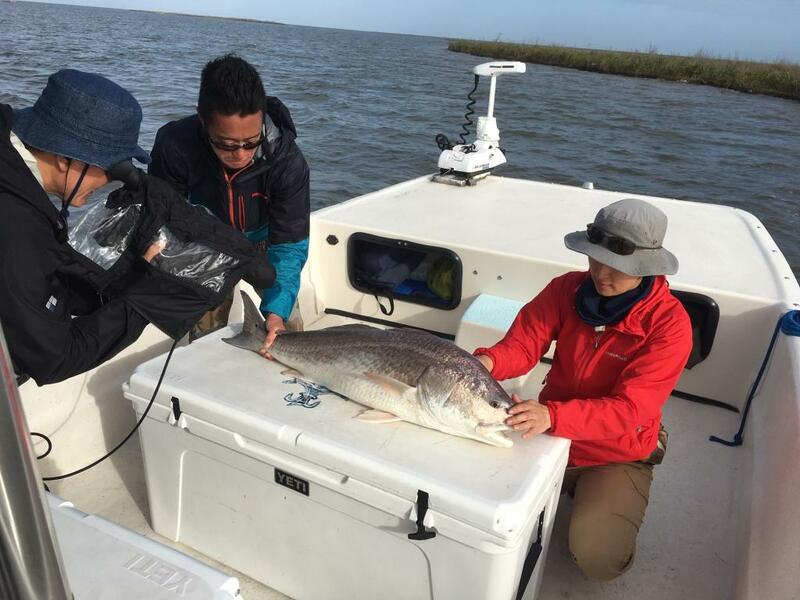 The fishing is excellent right now and is going to get better this summer. 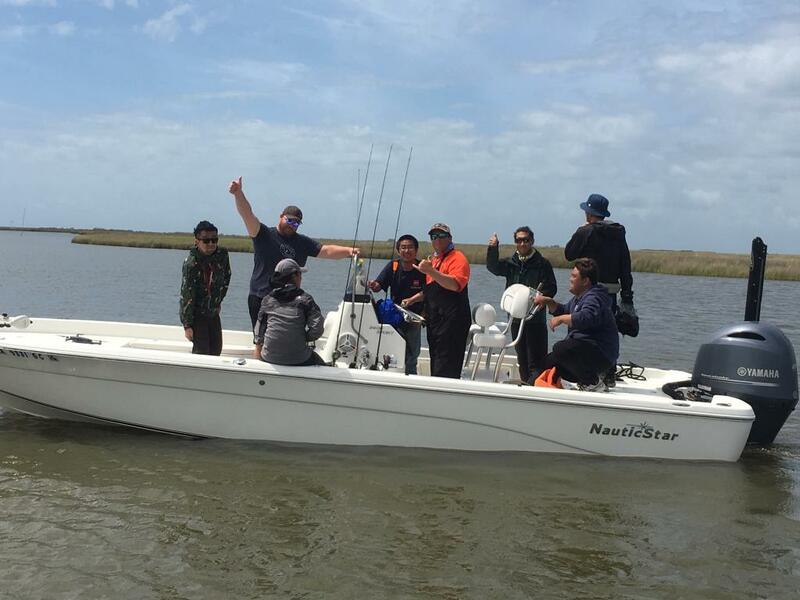 Thanks Capt Robert Chauvin for running the second camera boat. 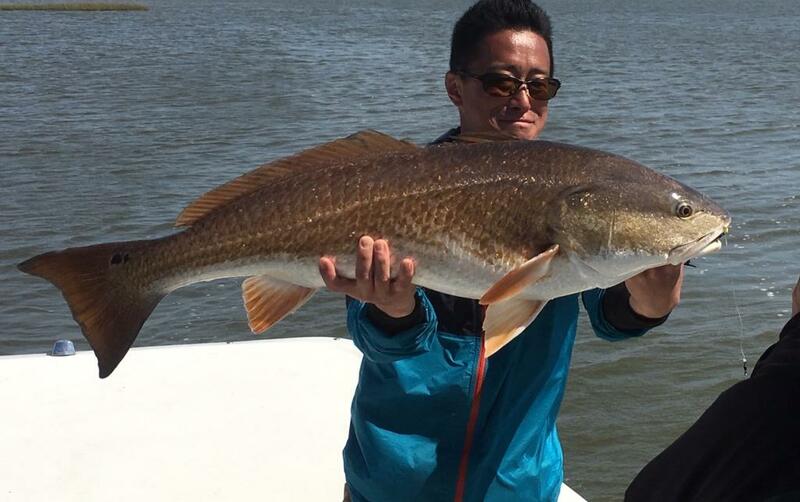 Check us out online to book your next fishing charter with The Redfish Charter Company.